There are no additional official fees required, and the UKIPO expect to issue their examination report within two months of the request. This should lead to rapid grant since their examination report should either confirm that the application is ready to proceed to grant or raise minor formalities objections. In order to qualify, all claims present in the application on entry into the UK national phase must have been examined in the International phase and found to meet the requirements for novelty, inventive step and industrial applicability. This new fast-track service is available to existing PCT applications with a positive IPRP which have already entered the UK national phase, as well as to applications entering the UK national phase from 28 May 2010 onwards. The Green Channel for UK patent applications was introduced by the UK Intellectual Property Office in May 2009. This service allows applicants to request accelerated processing of their patent application if the invention relates to 'green' or environmentally-friendly technologies. Using the accelerated Green Channel, it could take less than a year (and possibly as little as nine months) to obtain a granted UK patent if your application relates to environmentally friendly technology. It is hoped that this initiative will make it easier and faster for new products to reach the market. The Intellectual Property Office has recently announced a publicly available database featuring applications processed under this initiative, available on the IPO website. Numatic International Limited recently won an interim injunction against Qualtex UK Ltd preventing them from selling a new vacuum cleaner similar in appearance to Numatic's iconic 'Henry' cleaner. This decision illustrates how passing off can be determined by reference to the shape and appearance of a product rather than its branding. Numatic sell the well-known 'Henry' vacuum cleaners which are tub shaped with a black domed lid which resembles a bowler hat. The bottom half of the cleaner is typically coloured red and has a smiley face design, the nose of which is where the vacuum hose emerges from the body of the cleaner. Design protection on the 'Henry' cleaner expired in 2008. Qualtex planned to make a replica Henry vacuum cleaner without the name or the smiley face and exhibited a prototype at a trade show. The shape of the Qualtex prototype was very similar to the 'Henry' cleaner with the same black domed ‘bowler hat’ top half, and the hose connected to the body of the cleaner in the same location as the 'Henry'. 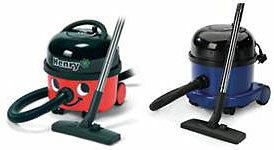 Numatic asserted that they were the owner of the goodwill in the appearance of the 'Henry' including its shape and get-up and that any attempt to market a replica vacuum cleaner would amount to passing-off. Numatic applied for an interim injuction to prevent Qualtex launching their machine onto the market. The Judge found that Numatic undoubtedly generated reputation and goodwill in the get-up of its Henry cleaners. He also found that there was a real likelihood that at least some members of the public would buy the Qualtex product in the mistaken belief that it was a Henry. The Judge concluded that the shape of the Henry and its ‘bowler hat’ prompted a strong recognition of the Henry in members of the public and that this recognition was sufficiently strong so as to convey the message that the replica was a genuine Henry. This case demonstrates that if evidence can be obtained to show that consumers are likely to be confused as to the origin of a defendant's product, based on its shape and appearance, then it is possible for a claimant to bring successful passing off proceedings against a defendant. Crocs Inc. recently lost an appeal against the invalidation of the Registered Community Design (RCD) for their popular sandals. The RCD has been declared invalid on the basis of evidence of prior sales in the US by Crocs Inc.
A one year grace period is allowed for disclosures of the design originating from the designer prior to filing the design application, but disclosures earlier than this will destroy the novelty of the design. Crocs Inc appealed the decision claiming that the prior sales were limited in quantity (around 10,000 pairs) and only sold in Florida and Colorado in order to test the produce. They argued that this should not destroy the novelty of the design because they could not reasonably have become known in the normal course of business to the circles specialised in the sector concerned, operating within the European Community. This is a requirement for prior disclosures. The Board of appeal dismissed this line of argument. Crocs Inc tried to argue that the number of sales were insignificant when compared to the size of the US market, however the Board of Appeal stated that this is not the correct test. The correct test is whether the sales could have reasonably become known to the relevant circles in the Community. The Board answered in the affirmative here saying that the launch of a new product on the marketplace always attracts attention from the public at large, the press and the business circles. This sort of news circulates easily in the Internet era. This decision is a warning to holders of Community Designs not to underestimate the impact of acts taking place outside the European Community on the validity of Intellectual Property rights in Europe.